I had a different idea for this portrait at first, but during my test shots i noticed these lights coming from the background and decided to play with them in the portrait instead. 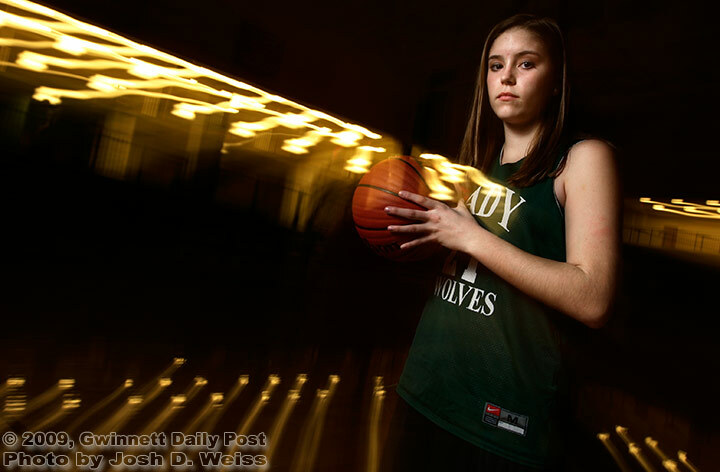 Posted in Gwinnett Daily Post, Portraits, SportsTagged basketball, erin hall, girls basketball, high school, high school basketball, wesleyanBookmark the permalink. Thanks for the nice job you did on Erin. I thought it very creative and turned out really cool! !